The next ride is May 20, with games at 7:30 and ride at 8:15pm- An evening glow stick ride! Bring lights and glow sticks to decorate your bike! 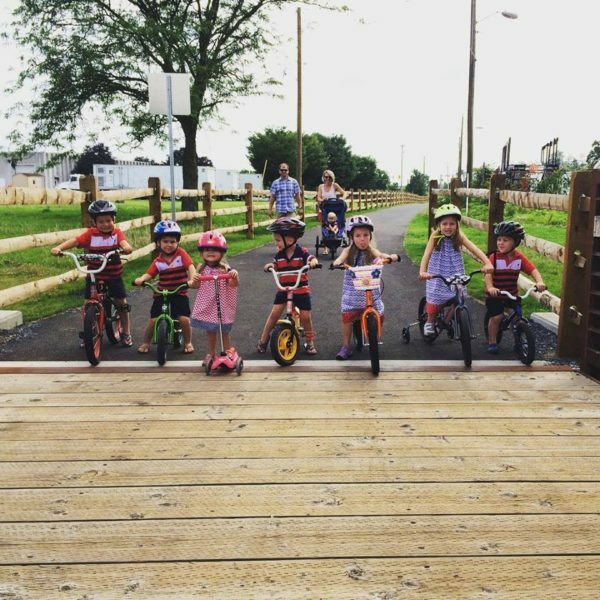 Description: Come out and enjoy the Bluestone Trail, Harrisonburg’s family bicycling destination! All kids and adults are welcome, at any skill level, pace and age. Please bring your bike, a helmet and some friends! Gracious host, Bluestone Bike & Run, will do bike and helmet safety checks. We will ride on the straight-a-way from Purcell Park to Stone Spring Road and back. Do the course 10 times or .5 times. It’s up to you! Snacks will follow at The Kids Castle. See the facebook event page for last minute updates if the weather is questionable or contact Becky at (540) 236-4883. Location: Ride participants meet at The Kids Castle- 41 Monument Ave, Harrisonburg, VA 22801. Contact: Becky Johnston, (540) 564-3788 or [email protected].